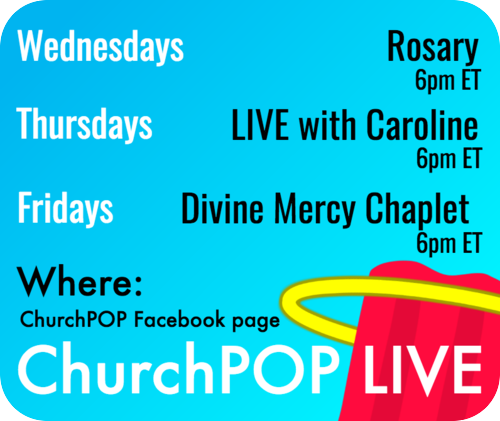 Another “Miracle”: U of Chicago Philosophy Prof Converts to Catholicism! Here’s for some great news: according to Princeton law professor and Catholic Robert P. George on Facebook, another leading academic swam the Tiber! David B. and Clara E. Stern Professor of Philosophy and Professor in the College at the University of Chicago Dr. Candace Vogler was received into the Catholic Church this week. “These miracles keep happening. 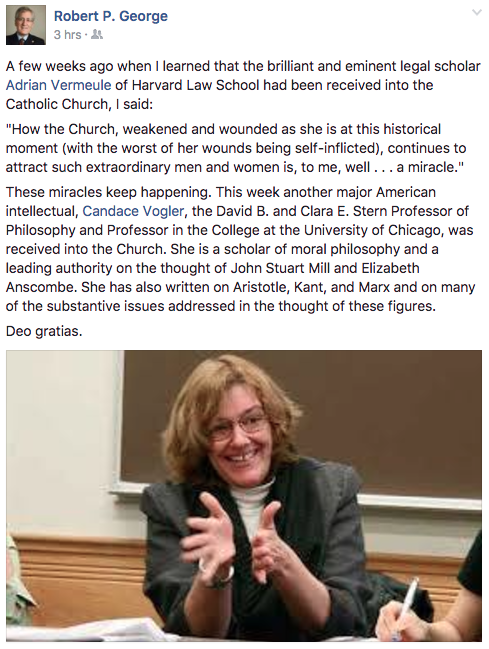 This week another major American intellectual, Candace Vogler, the David B. and Clara E. Stern Professor of Philosophy and Professor in the College at the University of Chicago, was received into the Church. 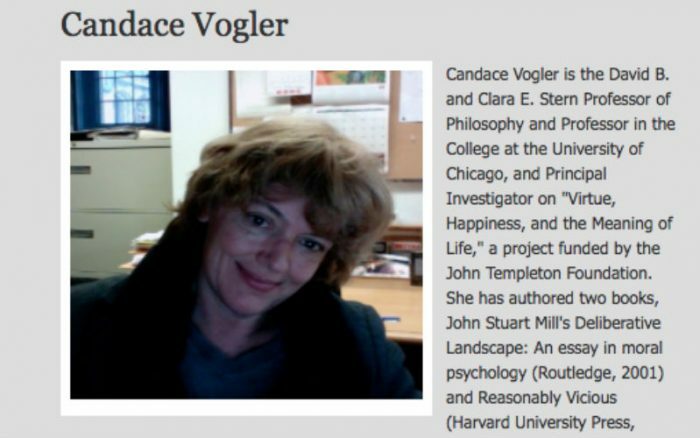 She is a scholar of moral philosophy and a leading authority on the thought of John Stuart Mill and Elizabeth Anscombe. She has also written on Aristotle, Kant, and Marx and on many of the substantive issues addressed in the thought of these figures.